7:00 -Breakfast at the hotel. 10:00 -Meeting with English speaking guide in the lobby of the hotel, accommodation in a comfortable bus. You will find a tour in Kobe! 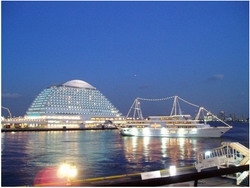 City Kobe – a port city on the island of Honshu. C VIII century, Kobe is one of Japan’s major ports and the center of international trade. In January 1995, a powerful earthquake destroyed thousands of homes in the district and Kobe, hit the overpass and bridges, dealt a huge blow to the city’s economy. The strength of multiple shocks was 7-8 on the Richter scale. 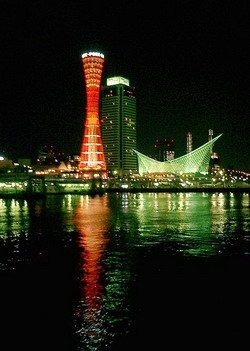 The earthquake and subsequent fires destroyed more than 100,000 buildings and killed more than 5 000 people.After the earthquake of Kobe has been rebuilt. Port Tower , it is similar in construction to the towers of the Russian engineer Vladimir Shukhov.Built in 1968 and used to review the panorama of the port and the city. Height – 108 meters. Do not collapsed during a 7-point earthquake in 1995., Is a listed building, protected by the state. Take a pleasant cruise on the sea by boat . Get acquainted with the coastal attractions. The city of Kobe is surrounded by picturesque mountains. You can make a fascinating journey to Mount Rokko cable car. From the bird’s-eye view open views over the city of Osaka and seascapes. 13:00 -Obed at a local restaurant. The guide will help you with a choice of dishes. 14:00 – . 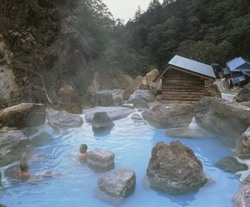 Continuation of the tour you get healthier and relax in a village with hot springs Arima Onsen (Arima Onsen). Arima Hot springs have been known 1,000 years ago and are famous in our time. This is one of the three oldest hot spring resorts in Japan. Look forward to a warm climate, the Pacific Ocean in front of his eyes, the beauty of the landscape, high quality service and excellent Japanese cuisine. 18:00 -Return to the hotel.